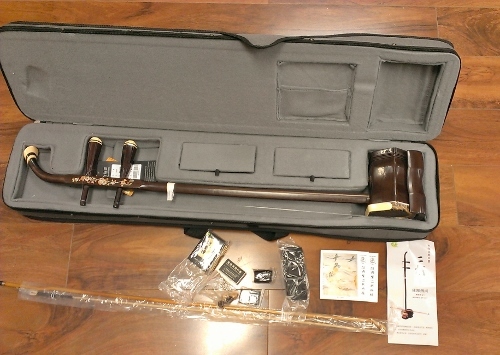 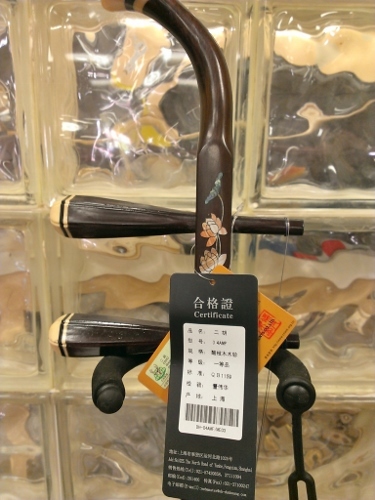 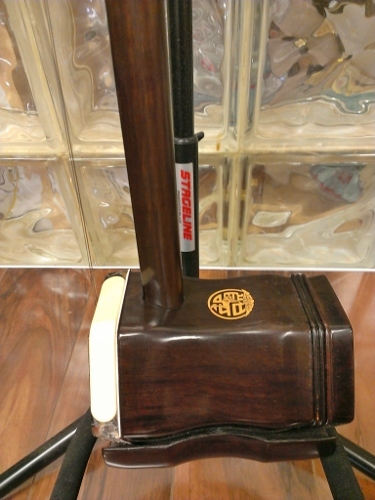 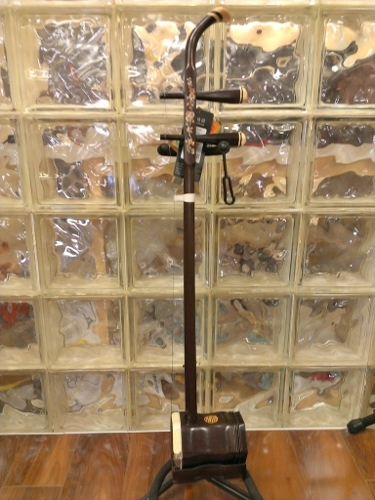 This is a intermediate grade erhu made by Shanghai Dunhuang Factory, Yun Brand, Model#4AMF. 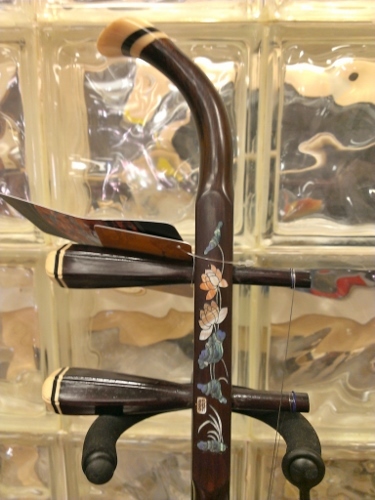 This rosewood neck is decorated with mother-of-pearl inlay. 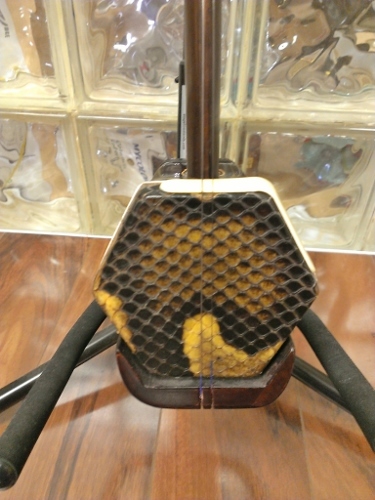 The instrument comes with 4 bridges (2 sandalwood and 2 pine) , 3 padding, one bow, a rosin,a set of spare strings, pitch tuner, a pair of mechanical tuning device, and a hard case. 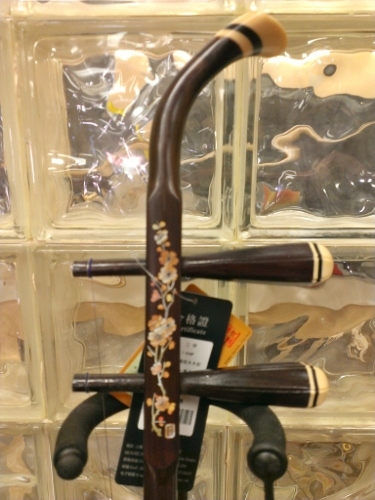 Everything is included for you to start playing.